It’s no secret that Uncle Sam wants you to save for retirement. With IRAs, Roth IRAs, and 401(k)s, you can defer or avoid a lot of tax by stashing away money early and letting it compound over time. The only catch is that you need to leave the money in those accounts until you reach age 59½. Otherwise, you get hit with a hefty ten percent penalty in addition to the income tax owed on the withdrawal amount. There are several exemptions to the rule, such as a house downpayment, higher education, disability, or death, but what if you decide to retire early? Can you make early withdrawals? What Is IRS Rule 72T? IRS Rule 72T enables you to make withdrawals from a qualified retirement account penalty-free if you take them in substantially equal periodic payments (SEPP). In other words, you can withdraw money from your retirement accounts at any age without penalty, but you’re required to take equal payments for at least five years or until you turn age 59 and ½ — otherwise you’ll incur a hefty ten percent penalty and owe back interest on the amount. There are three ways to calculate the SEPP amounts and each technique produces a different amount with different longer-term implications. Required Minimum Distribution Method – Divide your account balance by your life expectancy. Amortization Method – Amortize your account balance by your life expectancy and an interest rate. Annuitization Method – Divide your account balance by an annuity factor. All three methods involve the IRS life expectancy tables, while the second and third methods require an interest rate that must not be more than 120 percent of the federal mid-term rate published in IRS revenue rulings for either of the two months immediately before distributions begin. You can choose any of these methods when calculating how much to take out each year, but there is not much flexibility when it comes to changing strategies down the road. 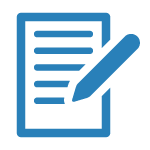 The process of taking a distribution is straightforward: You simplify liquidate the investments in the account, if needed, and then request a withdrawal from your broker or custodian. The broker or custodian will then send you a Form 1099-R at the end of the year, which specifies how much taxes you owe on the withdrawals on your Form 1040. It’s generally a good idea to tell your broker that you plan on making Rule 72T withdrawals. 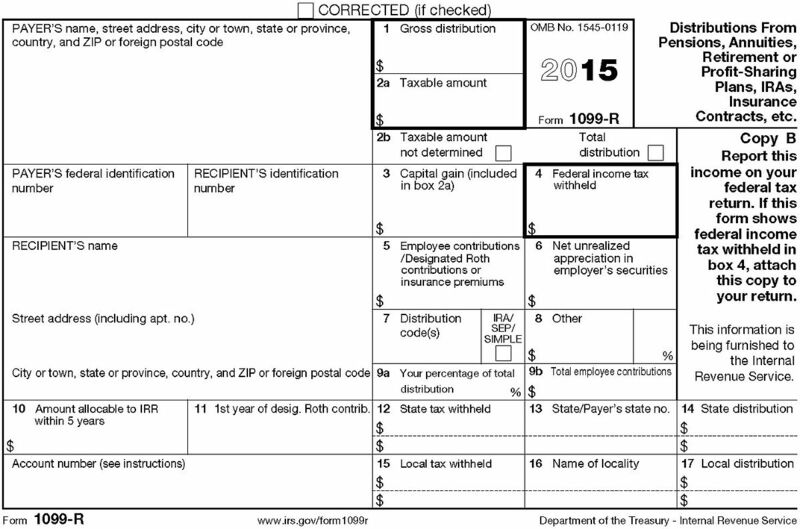 On your 1099-R, Box 7 is used to tell the IRS whether the distribution is exempt from the ten percent early withdrawal penalty. If your broker included a code “1”, that means that the broker doesn’t know about any exemptions and you need to file Form 5329 to tell the IRS yourself that you’re making Rule 72T withdrawals to avoid penalties. If your broker included a code “2”, then you don’t need to make any additional tax filings. You are permitted to change the amortization method or annuitization method to the required minimum distribution method only once without incurring a penalty after you’ve started taking Rule 72T distributions. The Rule 72T distributions must then continue for at least five full years, or if later, until the age of 59 and ½ to avoid any penalties. If you deviate from the withdrawal schedule in any way, including making mistakes, you will incur the ten percent penalty and owe the back interest on the total amount. This makes it extremely important to ensure that you’re taking the correct distributions on time without making any errors in your calculations. Suppose that you plan on retiring at 50 years old and would like to start taking distributions at the beginning of next year from a Traditional IRA with a balance of $500,000 as of December 31 of the current year. In order to avoid the ten percent penalty, you decide to take advantage of the Rule 72T distributions. The applicable federal mid-term rate is three percent at the time and you decide to determine distributions based on your own life expectancy (rather than joint life expectancy). You can calculate the required minimum distribution amount by dividing the December 31 account balance ($500,000) by your single life expectancy (46.5) to get $10,752.69. In future years, the annual distribution is calculated by dividing the account balance, as of December 31 of the prior year, by your new single life expectancy figure. You can calculate the fixed amortization amount by amortizing the December 31 account balance ($500,000) by your single life expectancy (46.5) at the three percent interest rate to get $20,079.52 per year. 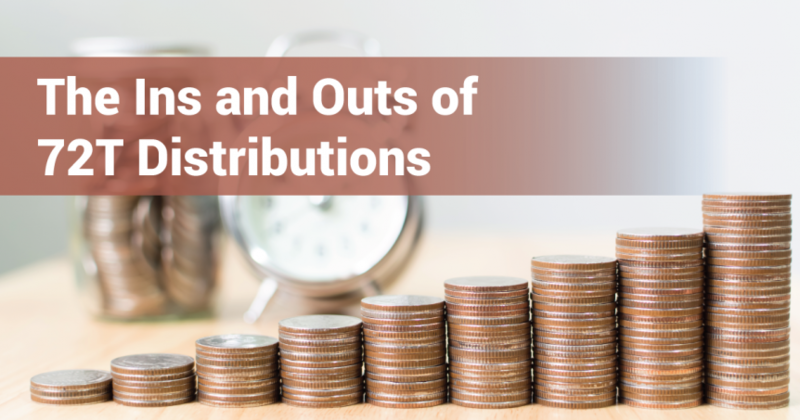 Unlike the RMD approach that results in a different distribution amount each year, the same annual distribution dollar amount is used each year. You can calculate the fixed annuitization amount by dividing the December 31 account balance ($500,000) by an annuity factor that would provide one dollar per year (present value) over your life beginning at age 50. An annuity factor of 21.3 is calculated based on the IRS’ mortality table would yield a $23,474.18 distribution in this case. As with the fixed amortization method, the annual distribution amount is fixed. Many financial advisors recommend against Rule 72T distributions because any mistakes can result in large penalties. In addition, retirement accounts defer or eliminate taxes, which means that it’s usually ideal to draw down other accounts before moving on to retirement assets — even if you can avoid penalties. Drawing down retirement accounts also leaves less money in the coffers for retirement budgeting. You have thought through your retirement plan and are comfortable making the commitment. You have assets that are diversified across various accounts and don’t require the tax shelter of the IRA account. You are comfortable budgeting and aren’t worried about running out of money during retirement. It’s important to talk with a financial advisor before taking Rule 72T distributions to ensure that there aren’t any better alternatives that are worth considering given the risks. Most retirement plans require you to wait until age 59 and 1/2 to make withdrawals without penalty, but IRS Rule 72T makes an important exemption for those that take substantially equal periodic payments. While taking this exemption isn’t usually recommended, it can be helpful for those that hope to retire early and have planned out their retirement income and expenses. If you’re looking for an alternative way to generate retirement income, Snider Advisors’ specializes in covered call option strategies that are designed to produce a stable and reliable income. Sign up for a free lesson or contact us to learn more about our do-it-yourself or managed options today! Use this checklist to ensure that you don’t run into any problems taking Rule 72T withdrawals.